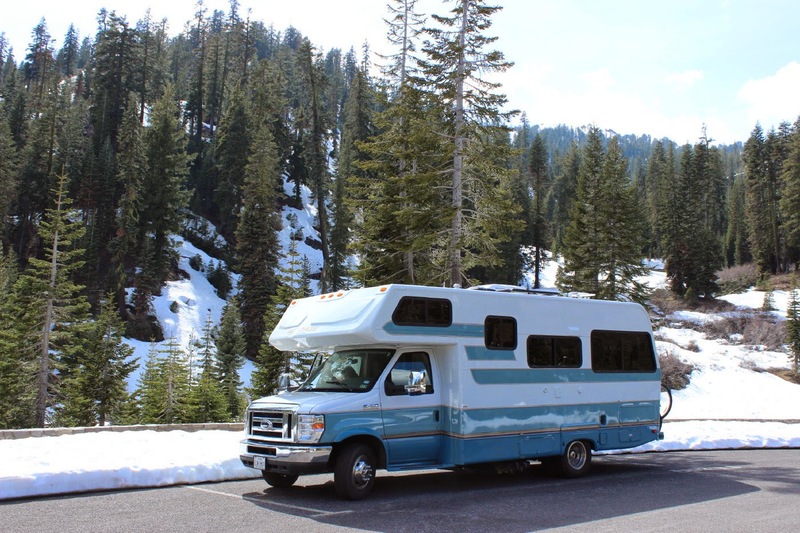 Jan and I knew we had to disappear from Gansner Bar Campground in the Plumas National Forest on the Feather River Scenic Byway. Because trout season was opening!! 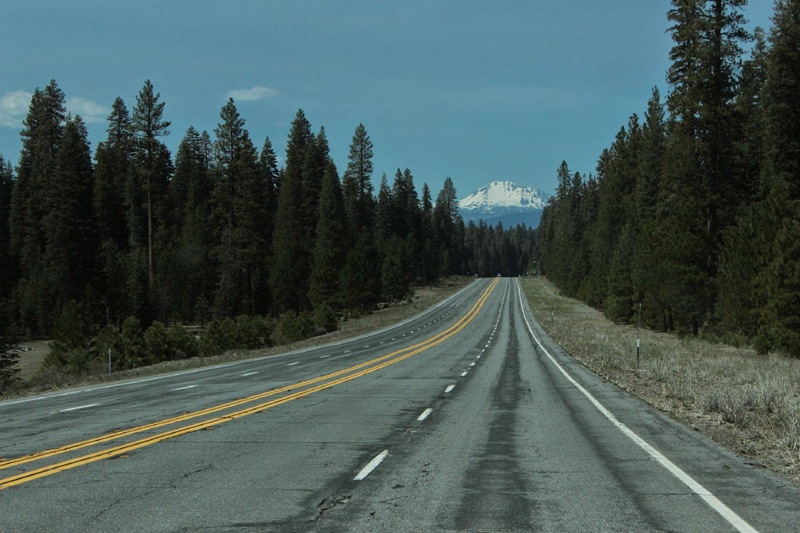 We head back east on Route 70 and then north on Route 89 towards Lake Almanor. A quick stop at the lake and we have our first view of Mt. Lassen. There are still some great peeks at the mountain along the highway. Can you believe that this is an area of low population? 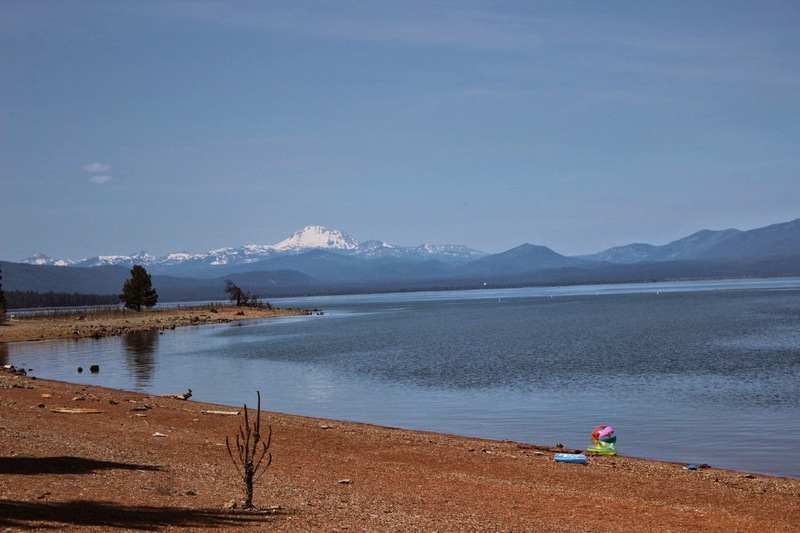 Very few places to access Lake Almanor too. Lassen required a little planning on our part. Route 36/89 west to the Southwestern Entrance. 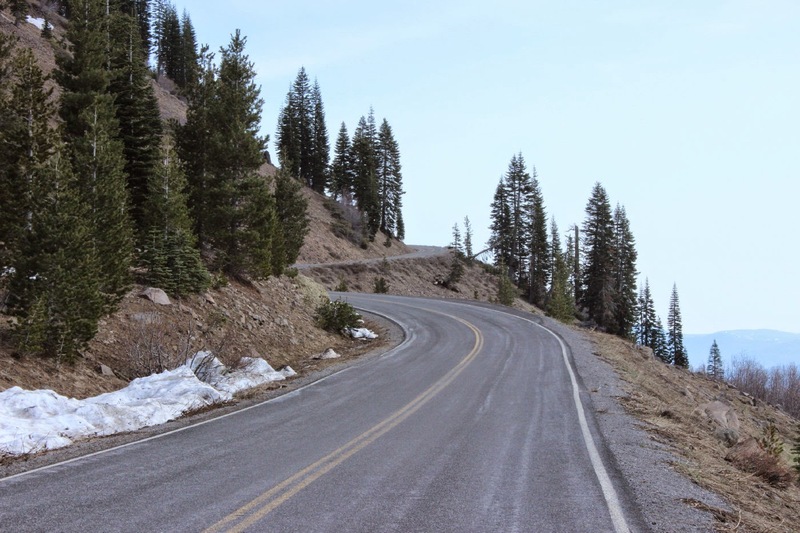 Route 89 through Lassen, however, was not open all the way( waiting for snow clearance). But the new visitor's center was open and we could camp in the parking lot! All of the four kinds of volcanos are represented in this park. The mountain peaks that we can see are remains of the edges of one of the largest. 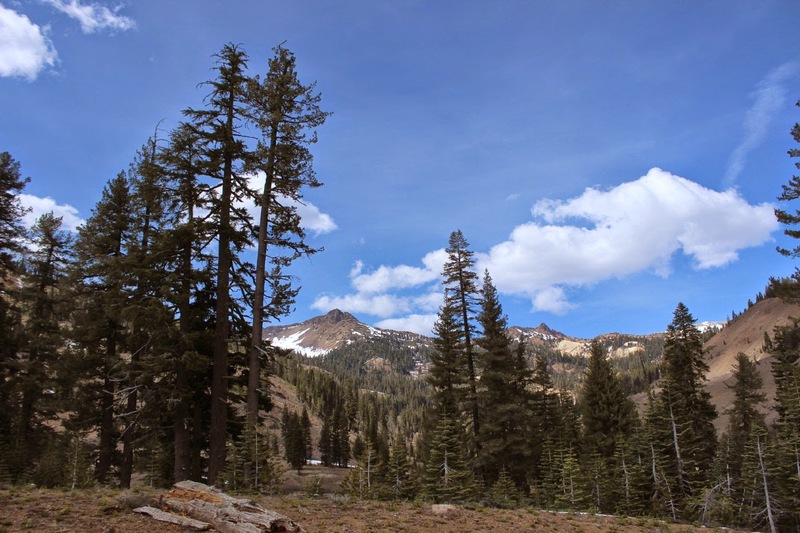 Lassen is the least visited of the national parks. Maybe because it is in an out of the way location. 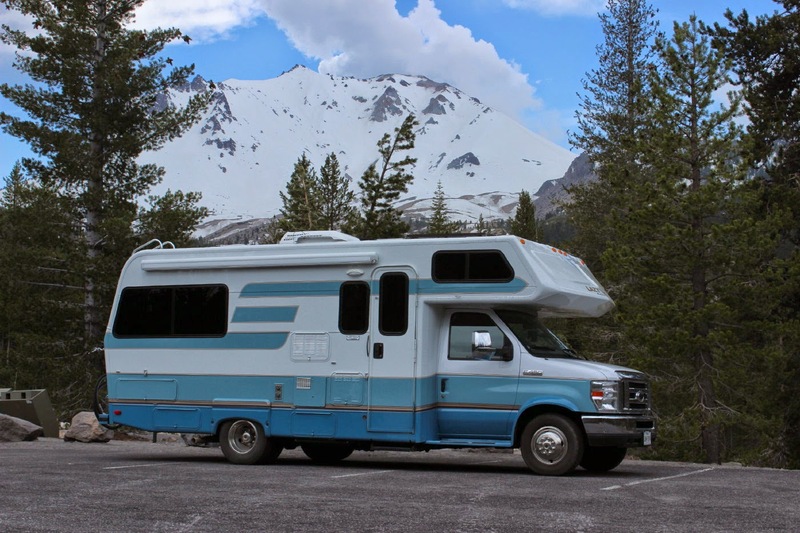 The road is open for one mile past the visitor's center, so Lady Blue says "Let's go!!!" Jan and I thought our New England friends would appreciate that we are finally seeing some snow in late April. From the end of the open section of the road, we hike up another mile or so. Actually, as you can imagine, I was not terribly sad to miss driving Lady Blue on this road. Love the steep drop offs. Part of our walk goes past the site of an old sulpher works. The hydrothermal areas are still steaming with bubbling mud pots, boiling water, and a distinct sulpher smell. 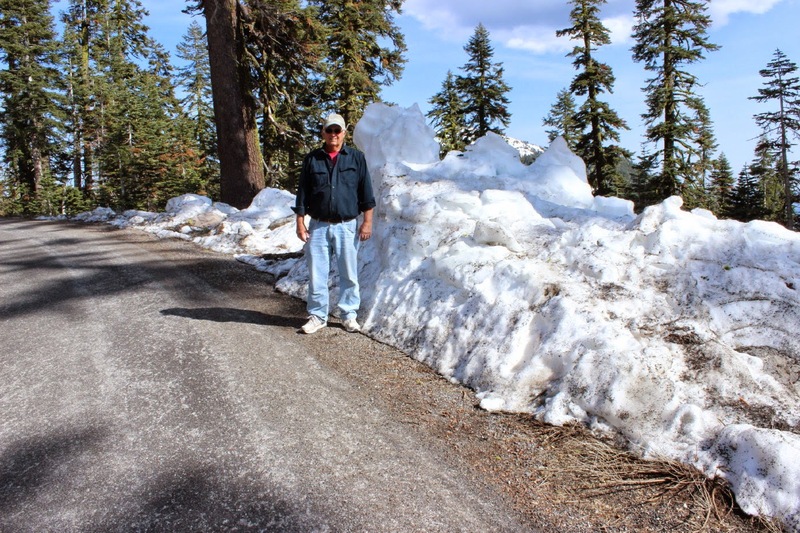 Like other parts of California, Lassen is only seeing about 25 per cent of the usual 12 feet of snow. If they had the usual amount, we would not be walking here. Lady blue would be happy to know she missed another one of these. They love hairpin turns around here. Around a few more corners and up several hundred feet and there is Lassen Peak. The next morning we saw a young man gear up from his van with a large backpack and skis tied on the back. He was going to hike about five miles and then ski?????? 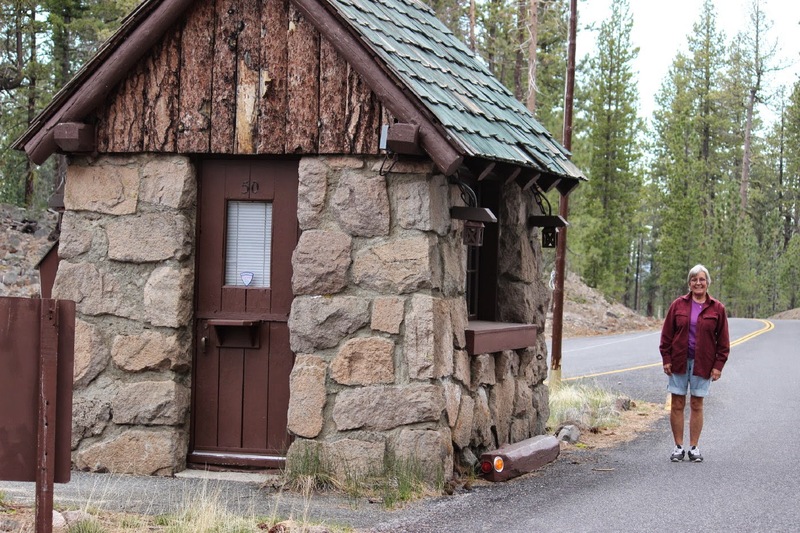 From the Southwestern entrance, we backtrack and continue on Route 36 to Susanville for an overnight. 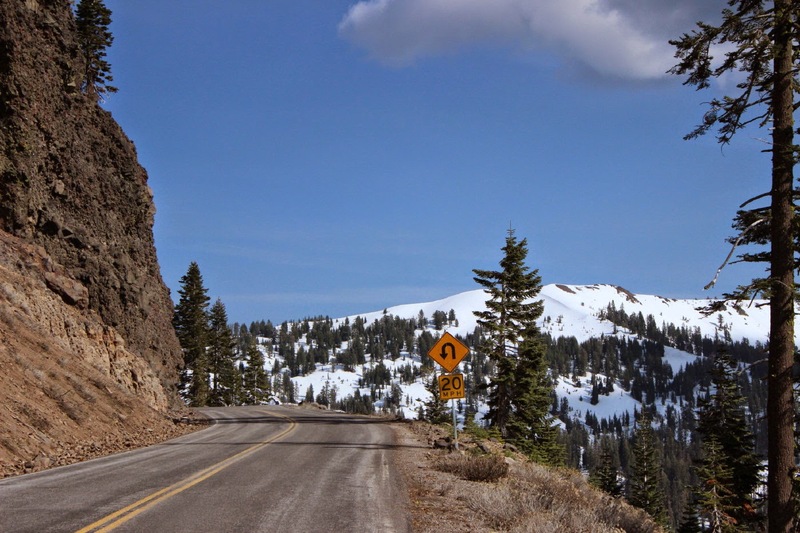 The next day, we head north on Route 44 to the Northern Entrance of Lassen. 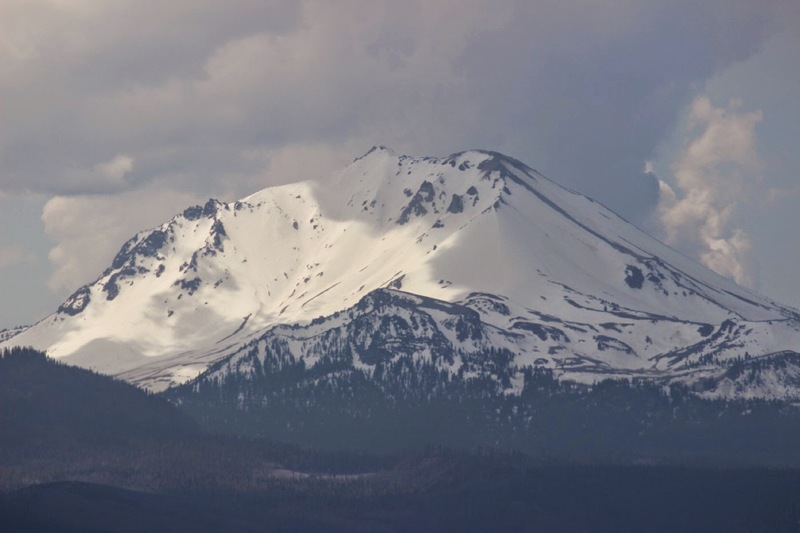 On the way, a vista gives us this view of Lassen. Also visible is a large area of forest fire damage from about 2009. There was also fire damage from a fire in 2014. Lady Blue is happy that the fires are not visible here in Lassen. The North Entrance is even less visited than the Southwest Entrance. 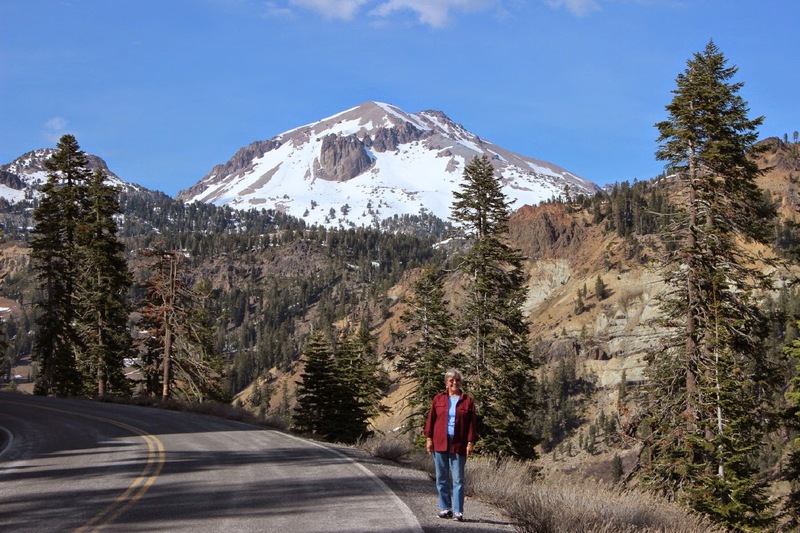 The roads are beautiful to drive and there are many more views of Lassen Peak. Jan and I enjoy the informative signs that give pictures from the 1914 eruptions of Mt. Lassen. Also easy to see the boulders that were sent down here about 3 miles from the peak of the volcano. It seems everywhere we turn, we see examples of the Civilian Conservation Corps of the 1930's. 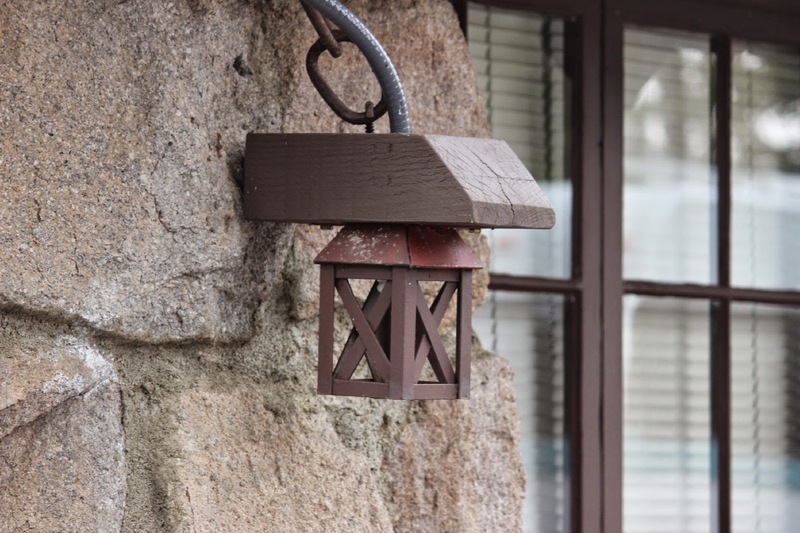 Some of the work in stone and wood is impressive to see 80 years later. Not sure that a national park would add some of these artistic flairs today. 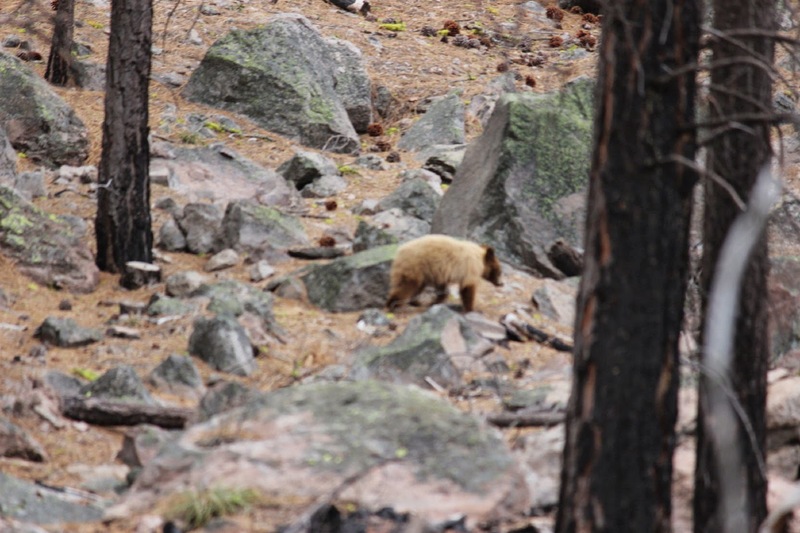 Jan first saw the Momma bear as we were leaving Lassen. By the time I had my camera ready, Momma had disappeared over the hill. But---right in front of us was Baby bear. We didn't believe this was a black bear, but the rangers told us this is a cinnamon colored black bear. We were happy that we were not between the Momma and the Baby!!! 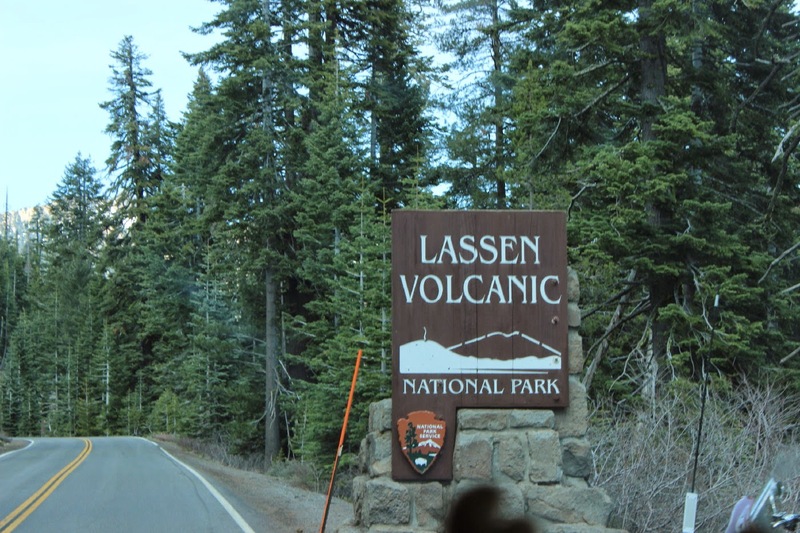 By the way, Lassen is still considered a potentially active volcano.